Talk to your friends, neighbors and co-workers, and you’ll likely hear some interesting anecdotes about the remodeling process. Unfortunately, not everything you’ll hear is the whole story. Working with a reputable remodeling contractor from the start can help you sort out what’s myth and what’s fact when it comes to home renovation. Use this guide to find out why four of the most common things you hear about kitchen and bath remodeling are nothing more than myths. Myth: You should follow the latest trends. Following the latest design trends when updating a kitchen or bathroom is something magazines and even remodeling contractors will tell you to do. Using some trends in your design scheme can be helpful if you’re looking to sell or they fit in with your vision of a perfect bath or kitchen. You’ll be doing yourself and your home a disservice if they don’t. Modern trends can be wonderful, but if you have a traditional home or you prefer a more eclectic style, you shouldn’t feel pressured to choose the trendiest option. DreamMaker’s designers can help you find the ideal combination of modern trends and a look that fits with your style and the rest of your home’s décor. Myth: Cheaper products are just as good as higher-priced products. Cost-effective bath and kitchen remodeling projects are possible. However, using the cheapest products available isn’t the way to find the right balance between quality and cost. DreamMaker Bath & Kitchen can work within your budget to help you choose quality products that will provide the durability and style you desire. Myth: You can’t afford a kitchen or bath remodel. Bath and kitchen remodel costs can be high, but not every project requires you to spend a small fortune. 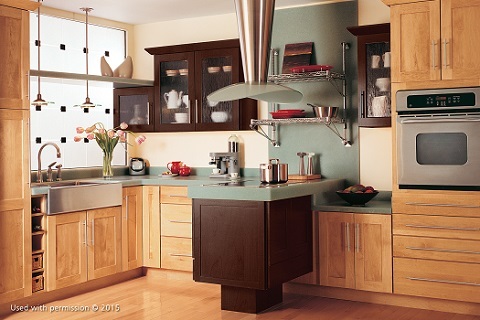 DreamMaker can help you update your bath or kitchen at a price that fits your budget and the style of your home. We’ll even present you with several options within your budget so you can make cost-effective decisions you’ll love. Myth: A kitchen or bath remodel is a DIY project. Handy homeowners can certainly update small items in a kitchen or bathroom like faucets, toilet paper holders, mirrors and more. Big jobs that involve plumbing, electrical, cabinetry, flooring or layout changes demand a professional remodeling contractor that knows how to do the job safely and efficiently. Skip the DIY approach and let DreamMaker Bath & Kitchen of Orland Park guide you toward your new bathroom or kitchen, from the design phase to the final buildout. We are your go-to source for major renovations, small updates and budget-friendly projects. Call (708) 429-6670 or submit our online form to start a conversation!